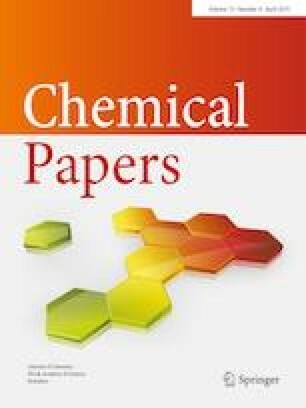 The aim of this paper is to investigate the thermal behavior of as-prepared Gd–Ce–O acetate–oxalate (GCO–AO) precursors and their affinity to the decomposition processes of the starting materials by means of thermogravimetric and differential scanning calorimetric analyses (TG/DTG/DTA). Moreover, the influence of the temperature, heating atmosphere, and heat treatment time on both the morphology and crystal structure of the Ce–Gd–O gel precursor were additionally investigated in detail using a scanning electron microscopy (SEM), X-ray diffraction (XRD) and Fourier transform infrared spectroscopy (FT–IR). The obtained TG/DTG/DTA results revealed that the formation of the gadolinium-doped ceria (GDC) ceramic was closely related to the thermal decomposition processes of the initial compounds: gadolinium (III) acetate and cerium (IV) acetate. The powder XRD patterns of the heat-treated GCO–AO sample revealed that the crystallization process for the GDC ceramic starts at 1173 K, whereas the temperature and heat treatment time significantly affected on the surface morphology and the size of the obtained particles. Besides, the spectra of FT–IR analysis showed that the vibration modes of the oxygen–metal–oxygen (O–M–O) in GDC ceramic heat-treated at different temperatures were equivalent, although the sample heat-treated at 1273 K demonstrated a completely different optical behavior. In that case a strong absorption outspread in the region from 1000 to 500 cm−1 was observed, which could be attributed to the initial formation of the nano-sized spherical particles in size of about 50–100 nm. The research leading to these results has received funding from Lithuanian–French Programme “Gilibert” under project agreement no S-LZ-17-7.